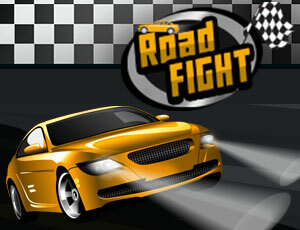 Everyone likes racing games..so here we came up with awesome racing game 'Road Fight'. Like old classic game road fighter try not to HIT by car and collect as much fuel to get some time and clear the level in a awesome way. Captain america will show up if you don't hit any cars while racing. There are 8 levels in road fight and 3 cars to unlock. So SPEED UP! !